In our last software update SurgicalPerformance introduced reports on patients’ ages at the time of surgery and Body Mass Index (BMI). 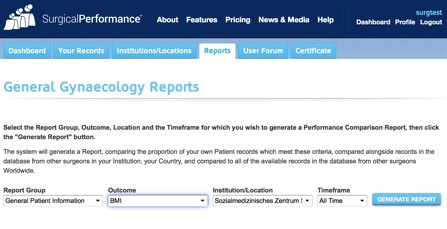 Once you log in, you can access those reports through “REPORTS” and then select “General Patient Information”. Sometimes we claim that our patients are slightly older and in less favourable general health than the patients of our colleagues. And sometimes it is worth our while checking if this is really the case!